A list of dog safety holiday tips so your time of celebration doesn't turn into a time of panic. Dogs + Holidays = Pet Hazards. 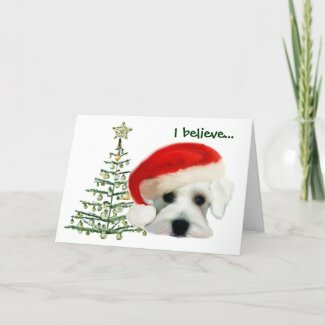 Let's face it, our Miniature Schnauzers are a part of our families and we want them to be with us during holiday gatherings and family celebrations. But these joyous times also pose the most risks to our pets and the last thing anybody wants to do during the holidays is have to make an emergency visit to the vet's office or animal hospital. Whether it's Christmas, Easter, Fourth of July, Halloween, or any other cause for celebration, following these holiday pet precautions will help you keep your Miniature Schnauzer safe. 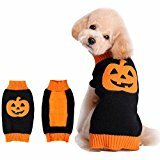 • Sweets - All candies and especially chocolate should never be given to your dog. Please make sure all your children and visiting guests understand this as well. You don't want Aunt Martha slipping a piece of chocolate to your Schnauzer because he was putting on his very best "pretty please" face. Also be sure to discard candy wrappers right away to prevent your dog from choking on them. 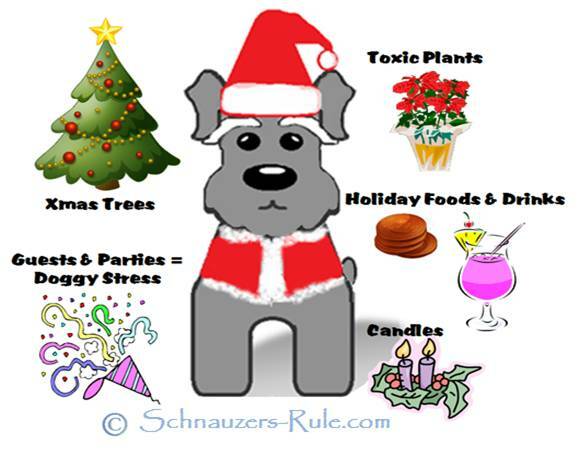 • Plants & Flowers - Many holiday plants including lilies, holly, mistletoe, and poinsettias are toxic to dogs. Therefore, it's a good idea to place all plants and flowers out of your dog's reach and any access to them. • Drinks - Alcoholic beverages and/or caffeine are also toxic to dogs. Be sure there are no unattended glasses of spiked eggnog, hot chocolate, or any drink left on out on an easily accessible place to your dog, like a coffee table. • Stress - Holidays also cause stress on our dogs. During Christmas and Easter most families have an onset of visitors coming and going. If your Miniature Schnauzer is not used to strangers or with children running around, playing, crying, etc... he may have difficulty with all the activities and goings on in your home. Some dogs may go find a hiding place while others may exhibit aggression. If this is the case with your Miniature Schnauzer, it's better to crate him or secure your Miniature Schnauzer in a room for a few hours away from everyone then leave it to chance. If however, your Miniature Schnauzer is allowed to 'mingle with the guests' - make sure to always supervise the activities or any interactions your dog has with visitors and especially with the visiting children. hint: You can help reduce your Schnauzers holiday stress just by keeping him on his regular exercise schedule and/or exercising him prior to guests coming over. • Noises - Another holiday stress for our dogs is noise. The sound of fireworks, in particular during New Years and the Fourth of July, can increase fear and anxiety in dogs. The best thing during these times is to keep your Miniature Schnauzer inside and away from as much of the noise as possible. You might want to try one of the many calming products for dogs. 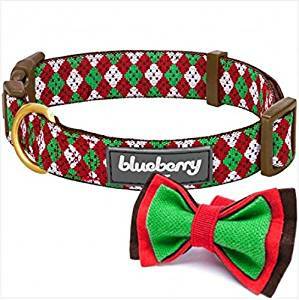 • Decorations - Decorations and presents can lead to choking or if ingested, can cause intestinal obstruction requiring your Miniature Schnauzer to undergo surgery. Again, if your dog cannot reach them he won't be able to choke on them. Before adding decorations all over the house, remember this: to your Schnauzer all these new things seem very interesting so they will need further investigation. The best rule-of-thumb: keep all decorations out of your dog's reach. 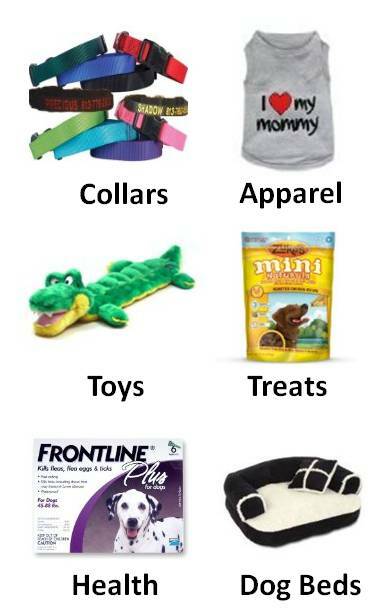 • Christmas presents decorated with all sorts of embellishments and bows can cause several pet injuries including choking and obstruction. Bows put together with straight pins or staples may cause bleeding... ouch! And some wrapping paper is may contain lead and be toxic to your dog! And finally, never keep any edible presents under the tree. They would be too hard for a SCHNAUZE (snout, muzzle, nose) to resist. 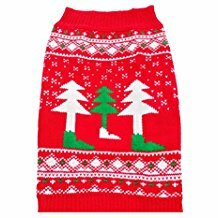 • Christmas trees are also loaded with pet dangers, including the pine needles themselves. Every item on your tree... all the decorations, tinsel, ornaments, electrical wiring, and even the tainted tree water can pose health risks to dogs. So first, be sure to securely fastened down your Christmas tree so it does not topple over onto your Schnauzer. Next hide all the electrical cords and/or position them to where your dog cannot get to them. And probably most importantly, always supervise your dog when he is in the vicinity of the tree. Holiday Safety Tip: A good idea to prevent your dog access to the tree is to section off the area around your tree. You can use a dog gate to do this quite simply and it works well when you are not around to supervise your dog. A good idea is to section off the area around your tree so your dog cannot have access to it or anything around it. You can use a dog gate to do this quite simply and it works well in preventing your dog access to the tree when you are not around to supervise your dog. Safety Holiday Tip: Use no-flame candles when decorating. They look like real candles, flicker like real candles, but they are so much safer! Flame free; Smoke free; Worry free. 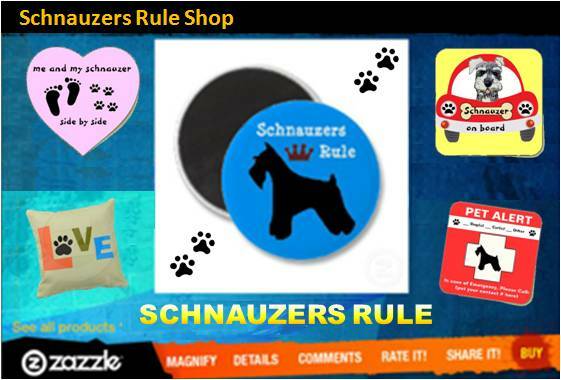 The holidays should be a great time for everyone - including your Miniature Schnauzer. This year, be sure to follow these dog safety holiday tips, so it can also be a fun and safe time for your Miniature Schnauzer. "Knowledge Share"... If you found this article on Dog Safety Holiday Tips helpful and informative, please share it with your dog-loving friends by clicking on one of the share links at the top right or bottom of this page.